Marriage. It’s one of the most rewarding relationships two people can experience. The heights of joy can be encountered in marriage like no other relationship. Beyond the capacity for marital bliss, couples who marry have been shown statistically to stay together longer and are more likely to bond for life. In addition to benefiting the couple, marriage is good for society generally because it is associated with stable families. Stable families produce happier children and a more stable society with less crime and other social problems. And yet, a husband-wife relationship can also be difficult. The high percentage of divorces and marital separations bear that out. About 40 to 50 percent of married couples in our nation divorce. The divorce rate for subsequent marriages is even higher. Because every couple’s relationship will be tested, fostering healthy relationships with other marital couples is highly beneficial to keeping a marriage strong, particularly when the marriage is being challenged. You see, we were never meant to tackle the challenges of marriage alone. This is why we need to be intentional about regularly connecting with like-minded couples. When it comes to a helpful community of married couples, both give and take are important. Spouses who share a healthy, vibrant relationship can rely on their support system, but they also recognize they have a responsibility to help other couples thrive. 7. Learn from and share with other couples. Our enriching group for husbands and wives meets the first and third Tuesday of every month at 7 p.m. at Shepherd of the Hills Church. The address is 24300 Bear Valley Road in Tehachapi. These monthly meetings last for approximately one hour. We would love to have you come and check out our group. 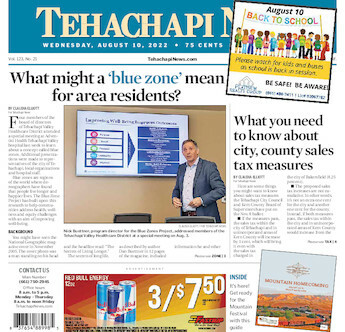 For more information call us at 822-1400 or write to us at tehachapishepherd@yahoo.com. Jeff Kaplan is the senior pastor at Shepherd of the Hills.